search engines: Nowadays, research and information seeking are commonly done over the Internet. If you wish to know about something, all you have to do is type in the keywords on the search bar, click the button next to it, and then a list of relevant sites that have information connected to your search appears on your screen. Sites that help you do the ‘searching’ are called search engines. Major search engines today are Google, Yahoo!, Live Search by Microsoft (formerly MSN), Askcom (formerly AskJeeves), and AOL. How do these sites search up the web for the information you need? The process is technical but could be explained in simple words – crawling, indexing, processing, calculating relevancy, and retrieving. 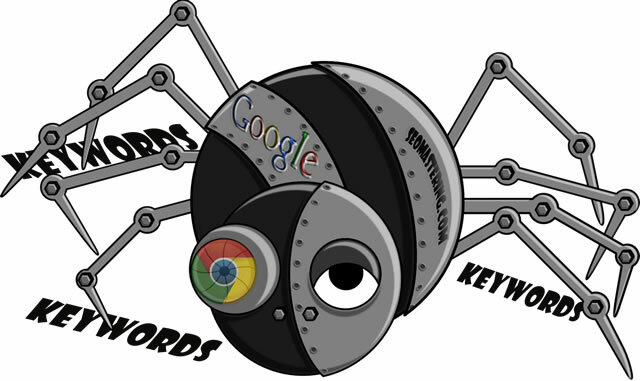 First of all, search engines search or ‘crawl’ the web to see what kind of information is available. Crawling is performed by the software called crawler or spider. The crawler follows links from page to page and then they index whatever information they come across. If a site or link is crawled and found to be relevant, it is then marked or ‘indexed’ by the crawler and then stored into a giant database so it can be retrieved later. Indexing involves identifying words and expressions that best describe the page and then assigning it to particular keywords. When a web surfer performs a search, the request for information is then processed. Processing is the comparison of strings in the search request with the indexed pages in the database. For example, if you type in the word ‘Internet’ on the search bar, the search engine scans through its database for indexed pages that contain the word ‘Internet’. Since it is most likely that many pages would contain the word ‘Internet’, the engine would then calculate the relevance of the pages in its index to the search string or the word. After the search has been processed, results will now be retrieved by displaying them in the browser or the hundreds of pages that appear on your screen that contains lists of relevant sites you could visit. There may be times when you do a search over the Internet and the results you get are not that relevant or the relevant sites are on the bottom part of the list. This is because sometimes there are websites that contain useful information but are not ‘search engine friendly’. Meaning, the site’s design or pattern is not that easily recognizable by search engines. Cases like this could be frustrating to both the information seeker and the website owner. This is where SEO comes in. Search engine optimization is about making websites more accessible to search engines to better display results and accurately rank them in terms of relevance to a search topic. What SEO does is that is tailors a website’s design or structure to the pattern that could be easily indexed and processed by search engines. This could be done by improving the site content, selecting a proper domain name, putting keywords, text formatting, internal linking, etc. Search engines are always seeking ways of improving their technology to be able to crawl the web deeply and provide relevant results to users. Websites undergoing SEO help not only the users but search engines as well by making information seeking and providing easier for everyone.